Mi’kma’ki (Nova Scotia) – An event at the Harrison Lewis Coastal Discovery Centre, just outside Port Joli, Nova Scotia, is bringing people together to share stories around what it means to live in “Canada’s Ocean Playground” – and how we celebrate and protect that legacy. The event, titled “Coastal Connections: an Afternoon of Southwest Nova Stories and Imagery,” will take place October 13 at the Harrison Lewis Centre. Located along Nova Scotia's South Shore, the Port Joli area is home to some of the last undisturbed pieces of Atlantic coastal landscape, from upland barrens and mixed woods to sand beaches, tidal flats and undersea kelp forests. Seventeen distinct natural habitats have been identified in the Port Joli Basin. Jessica Bradford, Program and Development Manager at Harrison Lewis Centre says this has become increasingly important, and rare. 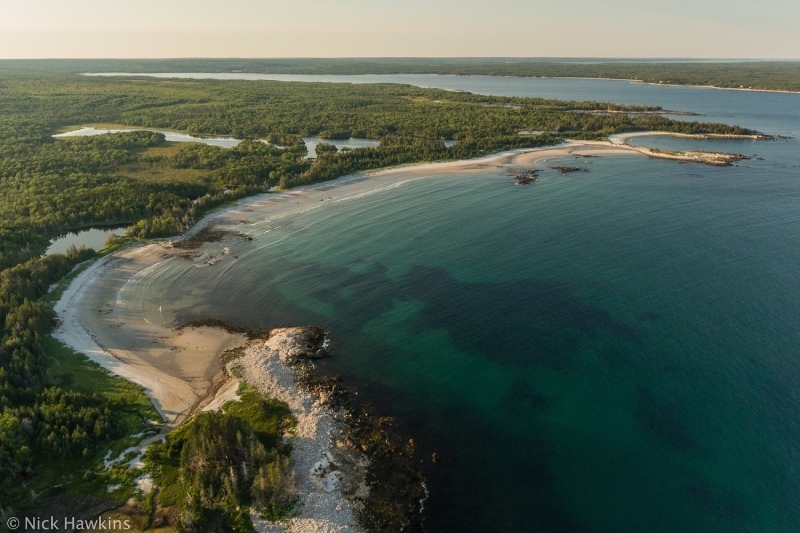 “The minimal development and abundance of protected coastal lands here may provide a benchmark that allows researchers to assess changes in the environment brought on by human activities,” Bradford says. Bradford looks forward to seeing members of the community share their passion and stories about the region. “With several parks, nature reserves, and migratory bird sanctuaries in this area, there’s been no shortage of community work to protect the coastline,” says Bradford. It’s a sentiment shared by Jordy Thompson, Marine Science and Conservation Coordinator at the Ecology Action Centre, “It’s inspiring to see a community come together to celebrate their connection with marine ecosystems,” Thomson says. One of the story-tellers and collaborators for the event is Gabrielle Beaulieu, Project Manager for Coastal Restoration with Kejimkujik National Park Seaside. Beaulieu will be speaking about the work that’s been done to combat the invasive European green crab. The afternoon event will include a photo exhibit by Canadian conservation photographer Nick Hawkins. Hawkins spent two weeks this summer photographing marine life and habitats just off the coast of Port Joli. The event is free and open to the public. Snacks and refreshments will be provided. It is being hosted in collaboration by Harrison Lewis Coastal Discovery Centre, Kejimkujik National Park Seaside, and the Ecology Action Centre. Location: Harrison Lewis Coastal Discovery Centre, 339 Sandy Bay rd., East Port L'Hebert, N.S. More information about the event can be found online at coastal-connections.eventbrite.ca. The Harrison Lewis Coastal Discovery Centre was founded in 2007 as a non-profit organization dedicated to the appreciation of the natural environment and rural living. Located on Nova Scotia's South Shore, the Centre offers outstanding opportunities to explore, research, and experience the living landscape. Nick Hawkins is a Canadian conservation photographer and photojournalists from New Brunswick. 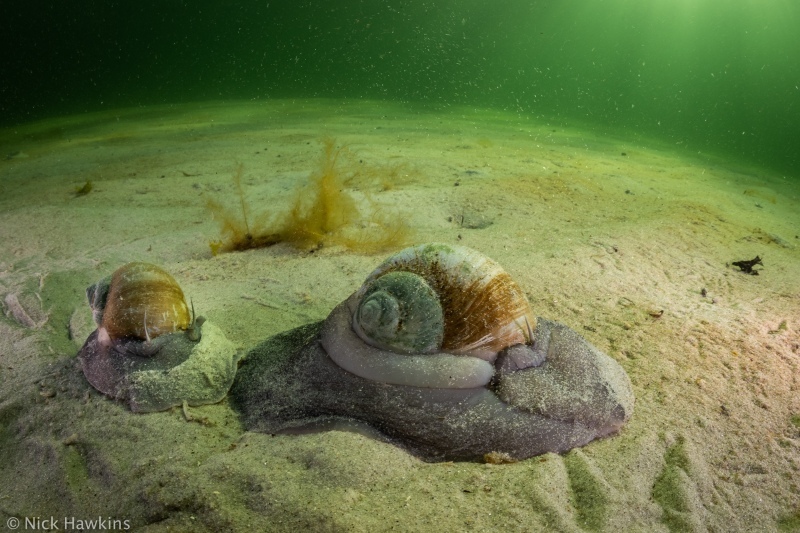 He has produced featured articles for Canadian Geographic, BBC Wildlife Magazine, and Canadian Wildlife Magazine, and was featured in the prestigious BBC Wildlife Photographer of the Year awards.